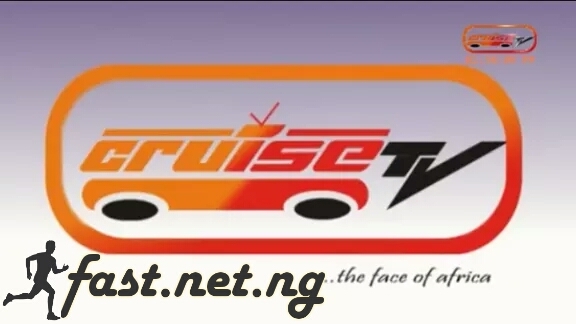 weeks ago, I posted Cruise TV app on this blog, which allows you stream live music and TV programs for free on MTN network using Cruise Tv Android app. So it seems the app has been having issues for some people. And I decided to edit the app and look for their streaming source-link (Server). Guess what? I found the link. Using this link, you can stream Cruise TV shows without using their app. 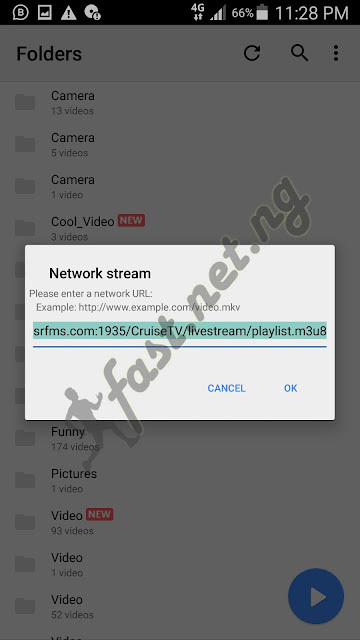 You can use this link on MX Player and stream Cruise TV on-the-go. You can as well paste the link on any browser and stream Cruise TV right on the browser all for free for MTN subscribers only (meaning you don't need data on your MTN sim to stream Cruise TV). Whether you have data on your MTN sim, your data will be deducted. MX Player download from Playstore click here. Open the app > click the three dots located at the top-right corner > tap on Network Stream and paste the cracked server link you downloaded above and press OK. Wait for some seconds for the stream to load.